The festive season is upon us and while the Christmas rush may be overwhelming, it’s important to set aside some time to ensure your home is adequately protected against fire. This can help to reduce the risk of an abrupt and disastrous end to festivities. When it comes to fire safety, simple oversights can greatly increase the risk of fire. Do a quick audit of your home to identify potential fire hazards. These may include year round hazards such as kitchen appliances and overloaded power boards, or season specific risks like Christmas tree lights, decorative candles and barbecues. In the event of a fire, fire protection equipment provides a crucial line of defence. Ensure your home is fitted with at least one working smoke alarm, ideally located near sleeping areas. The alarm should be checked by pushing the test button the unit. Batteries should be replaced annually – and don’t be tempted to remove smoke alarm batteries to power new Christmas gifts! Fire blankets and fire extinguishers are also recommended for every home. These should be easy to access and everyone should be familiar with how to operate the equipment. It is also a good idea to create, or re-visit, your home’s fire escape plan to ensure the whole family knows how to respond in case of a fire emergency. When putting up the Christmas tree, make sure it’s a safe distance from any potential fire starting sources such as lamps or electrical sockets. 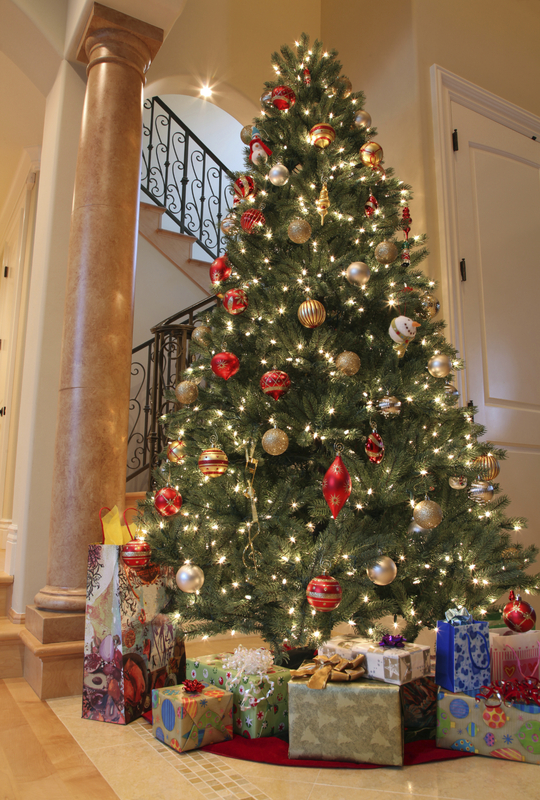 Be mindful to keep Christmas trees and decorations away from lights or candle flames. Always source fairy lights from a reliable supplier. Remind children of the importance of fire safety and ensure matches and lighters are out of their reach. Take extra care when using the barbecue. Always monitor it whilst list and once finished, turn off the gas cylinder. For more fire safety advice download Wormald’s summer fire safety checklist. If you’re a business owner, remember to ensure your business premises is protected against fire while you’re away. Visit the Wormald website for some handy tips. This entry was posted in Home fire safety and tagged Christmas, fire hazards, fire safety, home fire safety by wormaldblog. Bookmark the permalink.